This movie is grander, bolder, more ferocious and brutal with context to the narrative. PHOTO: PINTEREST. 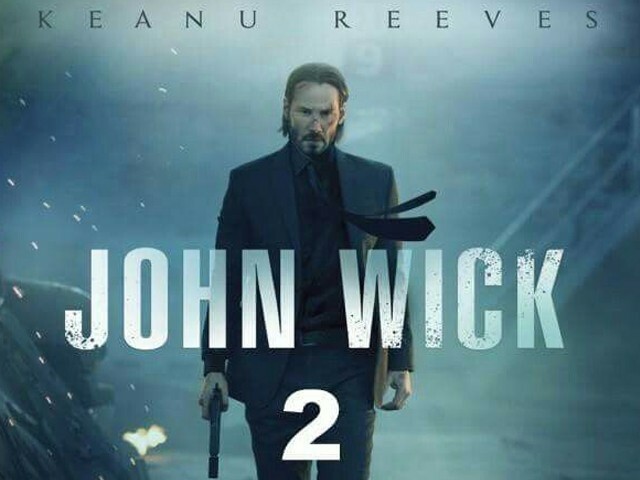 John Wick: Chapter 2 is the sequel to the 2014 hit action thriller with the same name. This second coming of the lead protagonist, played by Keanu Reeves, as a retired yet highly skilled assassin emulates the same neo-noir action scenes combined with highly stylised close quarters fighting and gun sequences. Unlike its predecessor, it lacks to exhibit the same grit and originality of the prequel but it is an entertaining chapter in the franchise nonetheless. This movie is directed by Chad Stahelski, who is also the co-director of the first part, along with David Leitch. John Wick: Chapter 2 is bolder and more brutal when it comes to the narrative. The mythology that was exhibited in the origin story is illustrated aptly, and with further detail as opposed to the first time around. Keanu Reeves in John Wick: Chapter 2 (2017). 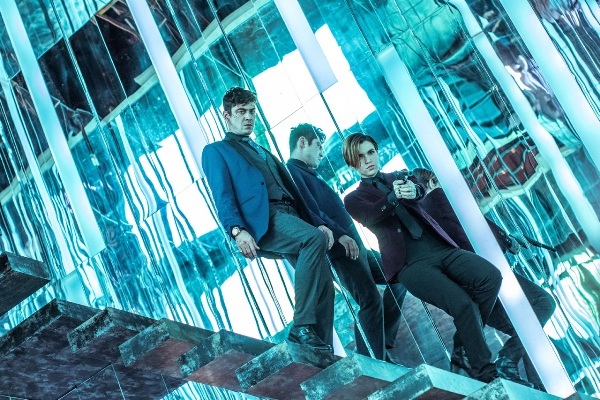 Without giving away too much, it’s safe to say that the movie’s premise is about how John Wick’s old acquaintance, Santino D’Antonio (Riccardo Scamarcio), forces him to come out of retirement. 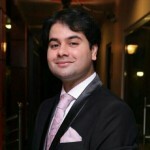 This former associate is conspiring to seek control of the illusive criminal organisation known as “The High Table”. It is a ruling criminal consortium of sorts that has worldwide roots. Just for the sake of elaboration, it is a council of 12 or so high ranking criminal lords who rule the illegal world with iron fists. Santino also happens to be the main antagonist of the film. John Wick’s criminal organisation’s code of ethics and morality, branded as ‘blood oath’, force him to help Santino out and this mission takes him to Rome. He fights and thwarts some of the most lethal assassins there. It is adequate to say, once Wick reaches Rome, a lot of killings follow. 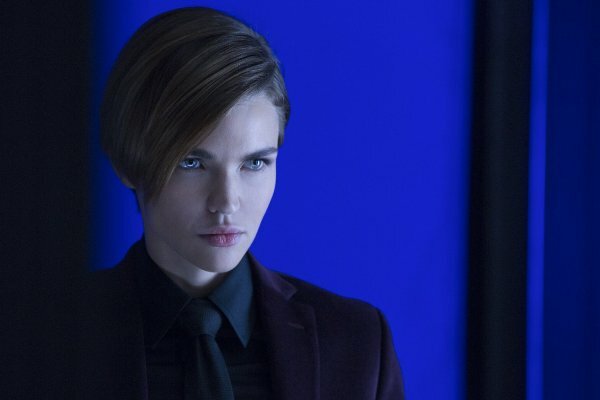 Ruby Rose in John Wick: Chapter 2 (2017). Though it is Reeves’s show from the beginning till the end credit rolls, the supporting cast of characters like Ares (Ruby Rose), Common, Ian McShane, and the Sommelier (Peter Serafinowicz), add to the depth of the movie. This goes to show that it is not just another senseless “shoot ‘em up” movie, but that it has an entwined complexity to its fictitious universe. The world John Wick inhabits is occupied with living breathing concoctions of colourful characters that are not just there to further advance the story. All of these characters serve a purpose – think of them as a collective group of cogs that are necessary for a well-oiled machine to operate. Keanu Reeves and Laurence Fishburne in John Wick: Chapter 2 (2017). Also it is important to note the on screen reunion of Morpheus and Neo from The Matrix after The Matrix trilogy. 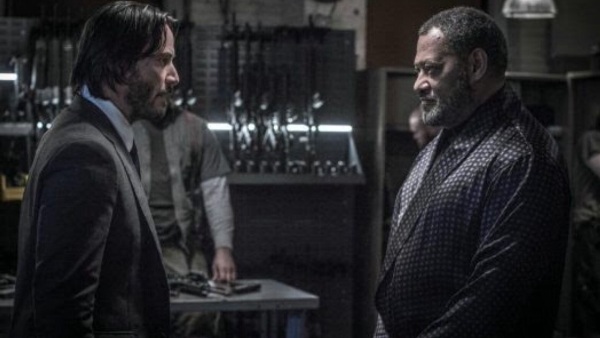 Reeves and Laurence Fishburne reunite but their onscreen reunification is not the one we had hoped for because Fishburne plays a small, but fun, role. Their back and forth banter coupled with dry humour is especially funny to watch. 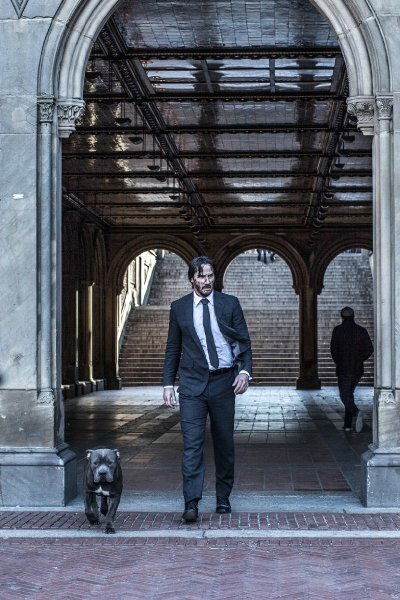 Switching the focus back to our protagonist, Reeves owns the character of John Wick, he is personified in celluloid, and the attitude fits him like a glove. He possesses certain gravitas that action heroes can seldom carry in real life and he carries it so efficiently, on and off the screen. 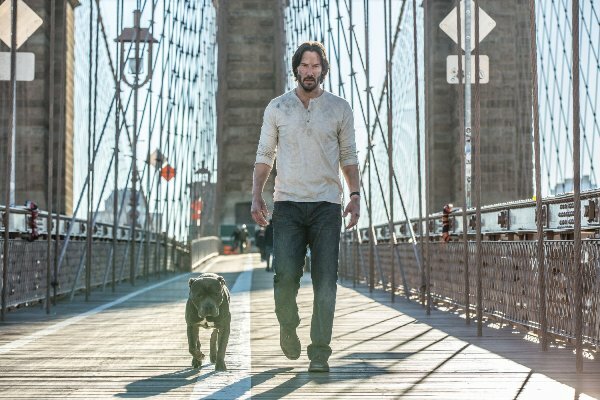 It is hard to imagine someone in his stead playing John Wick, which exhibits just how inseparable the actor and the character are from each other. The action itself is a sight to behold – the way John Wick uses his set of weapons is equivalent to conducting an orchestral symphony. This sequel intensifies and catapults the violence and gore tenfold but there is no grotesque aura to it, all of it just fits in its place. Kudos to the director and action choreographer for thinking and Reeves for executing such thorough action sequences, which are the highlight of the movie. Riccardo Scamarcio and Ruby Rose in John Wick: Chapter 2 (2017). To summarise, John Wick: Chapter 2 is as entertaining as an action movie can get. It is devoid of any superfluous Computer Graphic Imagery (CGI) and high on old school action coupled with a mysteriously established universe that John Wick dwells in. It has plenty of quality fight scenes, which are very well choreographed and designed along with witty dialogues and comic elements that make it a well-balanced movie. People churning action sequels one after another should reflect back and take note; as this is how action sequels ought to be made! I would definitely recommend this movie.